Amanda Blackburn had moved to Indiana to start a church with her husband. The pastor husband of a pregnant mom who was found dead in her Indianapolis home is not a suspect in the case, police said today, as they have now offered a reward in hopes of learning the identity of the killer. Amanda Blackburn, 28, was found shot in the head at her home when her husband, Pastor Davey Blackburn, returned to his home from the gym on Tuesday morning, police said. Amanda Blackburn, who was 12 weeks pregnant, died Wednesday at a local hospital, police said. Indianapolis Metro Police Sgt. Kendale Adams told ABC News that neither her husband nor any other family members are suspects, and investigators have obtained time-stamped surveillance footage from a local LA Fitness that shows Davey Blackburn arriving and leaving the gym that morning. 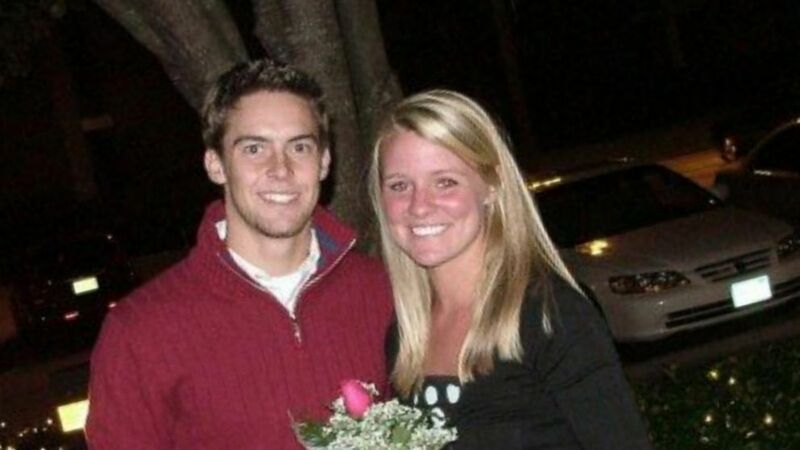 (Courtesy Blackburn Family) Amanda Blackburn and her husband are pictured in this undated file photo. The couple's young child was home when the alleged home invasion occurred and Adams said that some security footage from neighbors' homes has been collected as part of the ongoing investigation. "Investigators are working on leads that detectives have been receiving," Adams said. Adams also confirmed that part of the investigation is focusing on whether the Blackburn break-in is connected to other recent break-ins in the area. Crimestoppers has offered a $1,000 reward for information leading to a felony arrest in the case. 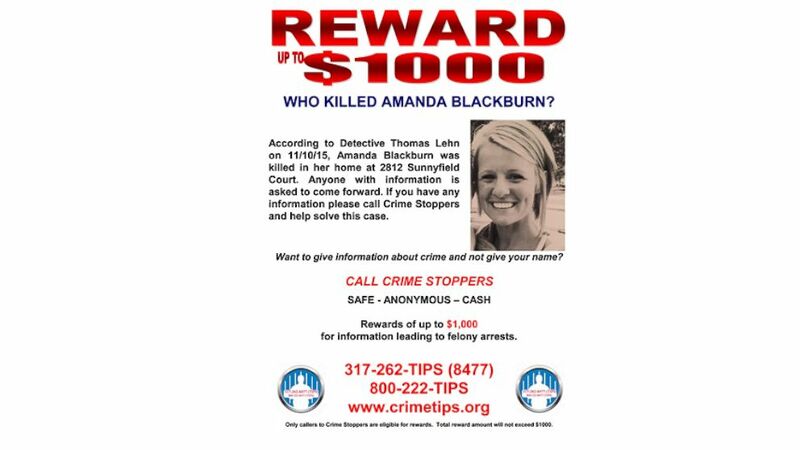 (Indianapolis Police Department) A reward is being offered for information about who killed Amanda Blackburn during an apparent home invasion in Indianapolis on Nov. 10, 2015. The couple regularly posted about their relationship on social media and shared videos where they answered questions from the congregation of the church that Blackburn founded, Resonate Church, shortly after moving to Indianapolis from South Carolina in January 2012. In one such YouTube video en route to a "romantic getaway" in Chicago, they offered marriage advice: "You can lead your wife best, by just being a really, really good Godly example to her." Davey Blackburn released a statement overnight, saying: "It's impossible to communicate all the emotions my heart has been forced to process. ... I have not only lost my ministry partner and support but also my very best friend."